Another day, another story... another colorful outfit in my book..
Back to my everyday outfits and my comfort zone: vivid colors & stripes. This is another pick-me-up color mix that is dearly to me: delicious shades of mint and mellow. Voila! A fun and fresh result that will brighten up those gloomy winter days. love the combination of colors! 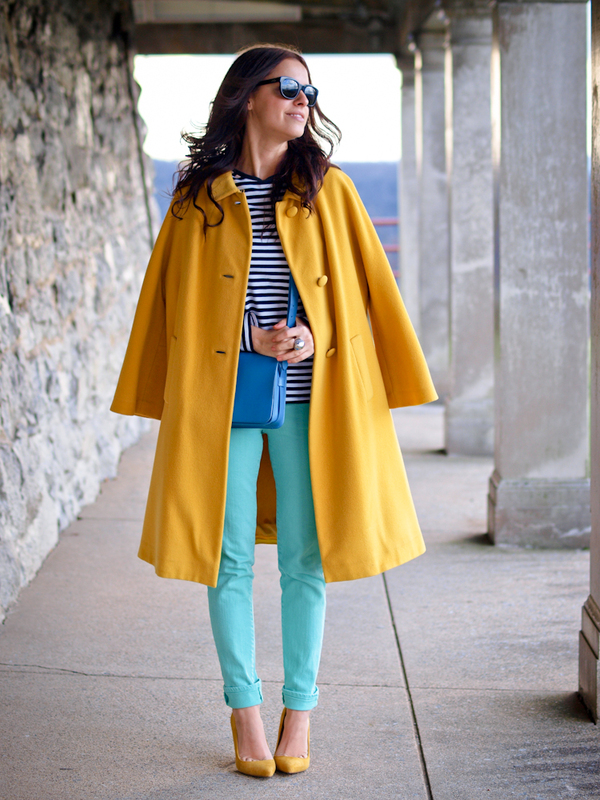 perfect coat! great look! 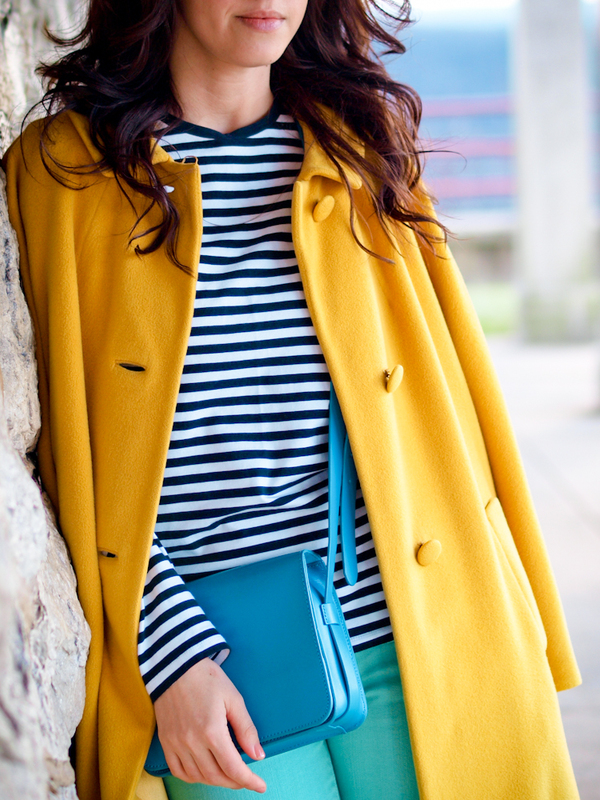 I love that yellow coat, beautiful! I’ve been dying to get some yellow shoes but have been hesitating spending the money because I’m wary of how much I’ll wear them. Thank you for showing me one great way to do it! I love what the yellow brings to this outfit. Gorgeous! 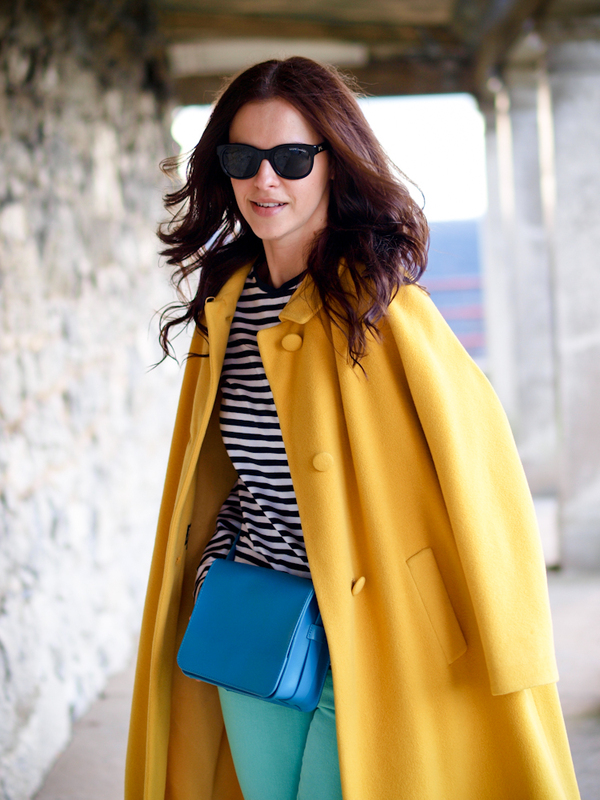 The color blocking looks great on you. i always love your unique color combos but this has to be one of my favorites!!! really feels like spring! what a lovely bag! i love that coat! such a wonderful cut and colour! Such a gorgeous mix of colors! 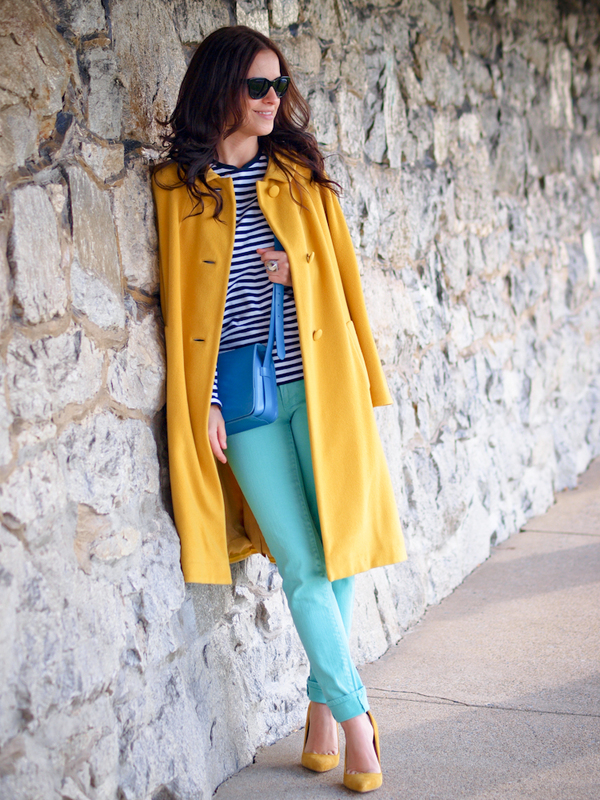 Love your colorful outfit! You look gorgeous! wow! love this look! amazing colors! Those pants are beautiful! The color combo is fantastic! 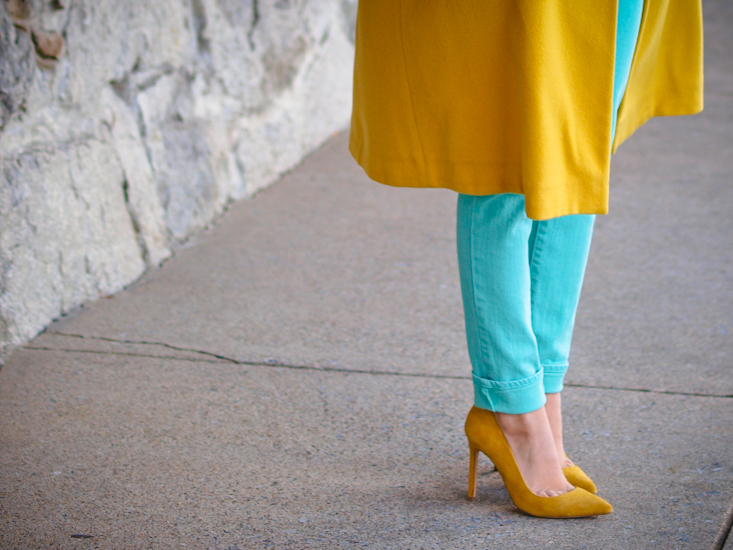 lovely, loving the colored outfit in the middle of winter..fresh! amazing look I love colors! The mint green colour of your denim is fantastic! 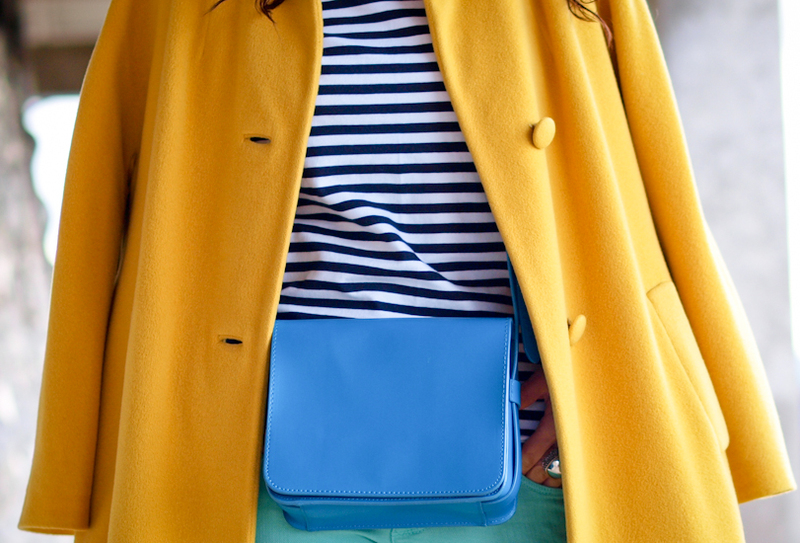 and I would never say that it could be of such great combination with yellow, but it definitely is! Amazing color blocking lesson from my FAV Fashion Teacher!!!! Y-O-U!!!! 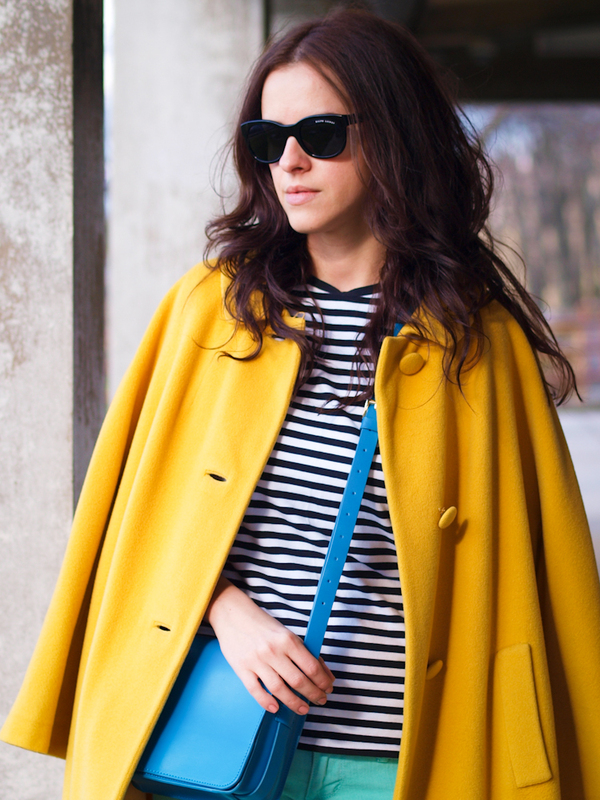 Love the coat, the bag, the top, EVERYTHING!!! !Kisses to Bogdan and his great photos!!! Parisian chic at its finest! :) True beauty as always! Nice color, excellent outfit. love it!